Combi boilers are known for their convenience, compactness, and energy saving capabilities. With all of these benefits, you are probably considering installing a new combi boiler in your house. Get all the information you need about your combi boiler installation project. The price you pay for a new combi boiler consists of the supply expense as well as installation costs. The amount you pay depends on the brand, model, as well as any component parts for your heating system. 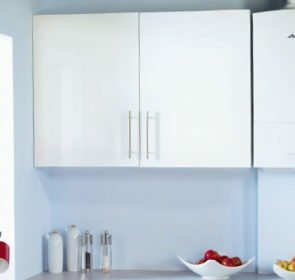 For example, if you are just looking to replace an old combi boiler with a new one, the installation price will be lower than if you are converting from a conventional boiler. You will not need to have pipework fitted or any old storage tanks removed. If you are in need of a new boiler, why not try using a combi boiler? Its small size and relative efficiency make it a great choice for your central heating system. 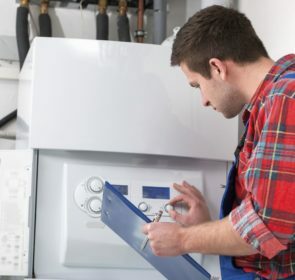 Despite the seemingly large upfront costs of a new combi boiler, there are further potential savings by finding the right company that best matches your needs. Compare up to 5 price offers from reliable, local installers and easily locate the best service professional, at 60% of the cost. Why should you replace your boiler? The obvious reason to replace your boiler is if it no longer provides proper heating or hot water. However, there are other circumstances where buying a replacement combi boiler is the best solution to your heating issues. The average lifespan of a boiler runs anywhere between 12 to 15 years. At the latest, you should replace your boiler if yours has reached 15 years old. Newer models have significantly improved in terms of energy efficiency. If you have high energy bills you should consider switching to a new boiler to tap into these heating savings. Although it is possible to have a broken boiler repaired, there are certain circumstances where these costs are just too high. In this case, replacement is a better option. 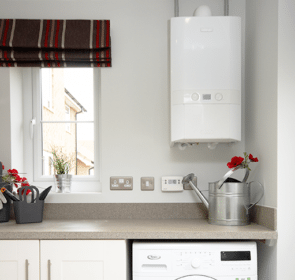 Replacing your boiler to a more modern model could add significant value to your home. This is worth considering if you are looking to sell your home in the future. Ask a Gas Safe certified heating engineer to examine your system. They will determine if replacement is the right solution and suggest certain boiler models after considering your home and budget. One important thing to take note of is that since 2005, government regulations entail that all new or replacement boilers must be of the condensing type. Condensing boilers are more energy efficient than older, non-condensing models as they reuse exhaust gases for improved heating capabilities. 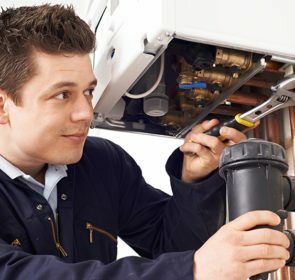 Is it possible to install a combi boiler by yourself? To follow building and safety regulations, new gas boilers need to be installed by an installer with a Gas Safe certificate. A registered installer will assess your home and advise you on which boiler would be ideal for your system. They will also look at the rest of your heating system, such as the pipe network and controls, to make sure they are up to code. The Gas Safe Register means your gas engineer is able to work safely and legally on your boiler. This ensures that their work meets the safety, quality, and legal standards that the government has set up. Look for the Gas Safe registered triangle symbol, ask your engineer if they are certified, or check on the Gas Safe Register website. If you forgo a Gas Safe registered engineer and try installing the boiler on your own, you still need a certified and competent professional to test, accept, and sign it. However, a reliable engineer will likely be hesitant to commission a boiler that they have not personally fitted. Without having it signed off, you run the risk of voiding warranty. If there is a problem later on, you will be held liable and any repair will be difficult to come by. Finally, you will have issues with the local council and the Health and Safety Executive, further complicating things. Also, remember that a poorly installed boiler represents a danger to your home and family. As such, your best course of action would be to follow regulations and have a Gas Safe registered heating engineer fit the boiler and required gas works. Your combi boiler needs to have the right output and features that matches the characteristics of your home. Finding the best boiler is a difficult task and requires the expert eye of a professional heating engineer. However, you probably will not want to choose the first installer that you find, instead looking for the professional with the best price. The best way to save on your combi installation is to shop around. Reach out to multiple engineers in your area by sending a quote request. In just 1 minute, you will be able to compare quotes from 5 companies and save up to 40%.